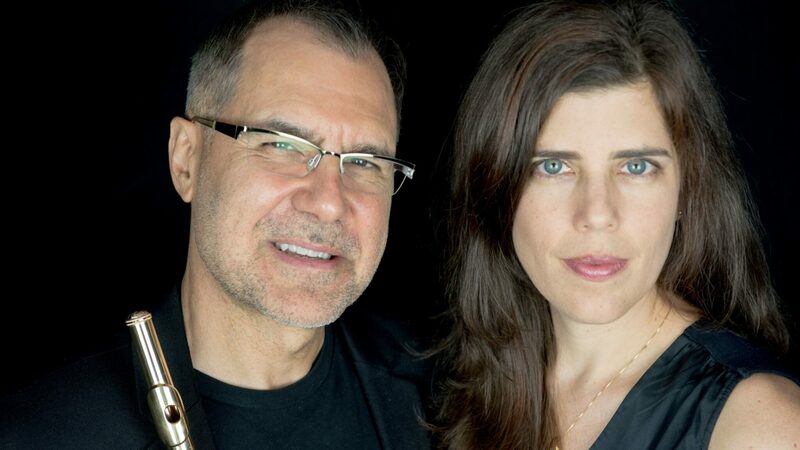 Burning Bright is a multi-media concert for flute and soprano featuring William Blake's Songs of Innocence and of Experience. 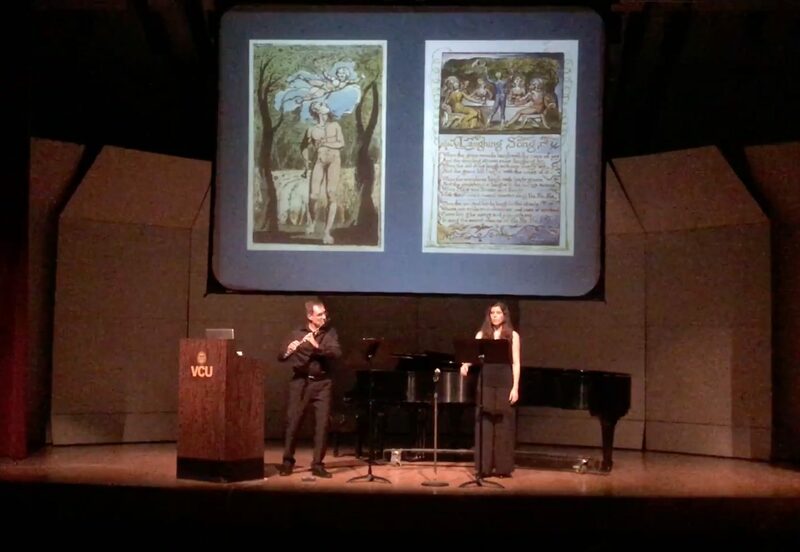 An exciting fusion of free improvisation, the music of Vaughan Williams, spoken word, and images of the original plates, this seamless performance explores the power of Blake's poetry across time and place. In Songs of Innocence and Experience, Blake offers a critical commentary on societal norms in eighteenth-century England as well as explores two states of the human soul. Free improvisation, born out of American and European jazz in the 1960s, transcends the musical norms of melody, harmony, structure, and style. This state of spontaneous musical creation will be contrasted by performing Ten Blake Songs, composed by Ralph Vaughan Williams for the 1958 film The Vision of William Blake. Beat-boxing techniques borrowed from African-American hip-hop will represent a modern resistance to inequalities in society and the charanga francesa, a Cuban dance with Haitian roots, will represent unrepressed sexuality – a theme Blake explores in later works. The audience will be invited to fully participate in the concert experience through recitation and improvisation, either in their seats or with the performers on stage, and will be encouraged to consider what meaning the words, images, and music holds for them. The projected program includes Ralph Vaughan Williams’ Ten Blake Songs, Michael Colquhoun’s Charanga, excerpts from Greg Patillo’s Three Beats for Beatbox Flute, as well as freely improvised music. Anima Vox Receives NALAC Grant 2018!